As a florist, I anticipate and wait on spring. Flowers are great all year long, but spring brings so many new, delicate blooms with it! Spring blooms are like candy and I'm a kid in a candy shop! I returned from a month long trip just two days before this shoot happened. These amazing Utah State Capitol blossoms only last a few days at their peak. I was so worried that the blossoms would all fall off before I had a chance to get a shoot done there!! The stars aligned and the talented Eden Strader and Kait Vanhoff came together to create magic. The raw edge dupioni silk ribbon by Honeysilks was the perfect touch to bring out that hint of blue and set off the entire bouquet. 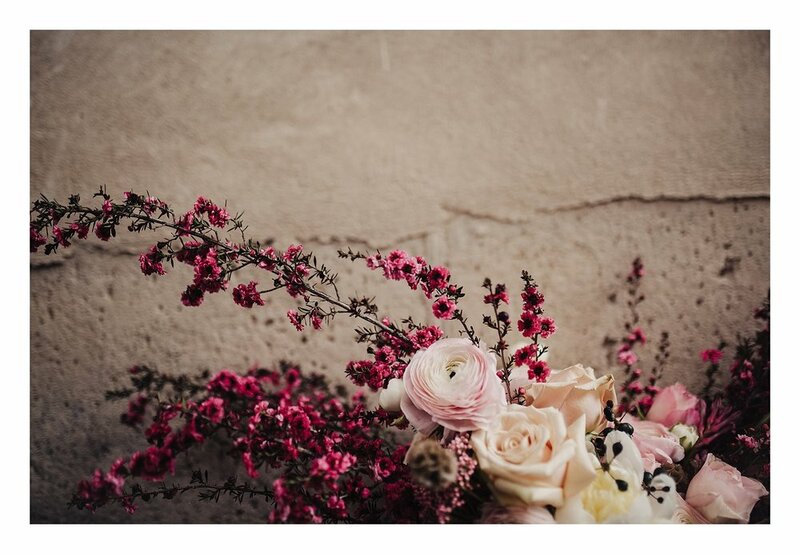 This shoot and bouquet tells a poignant story a new awakening and rebirth of the earth as spring brings it to life. The way each seedling pushes it's way through the earth and the tree blossoms weather the storm. It's a lesson in waiting and being patient; in living and fighting through life's storms; in breathing in the joy when it finally arrives. 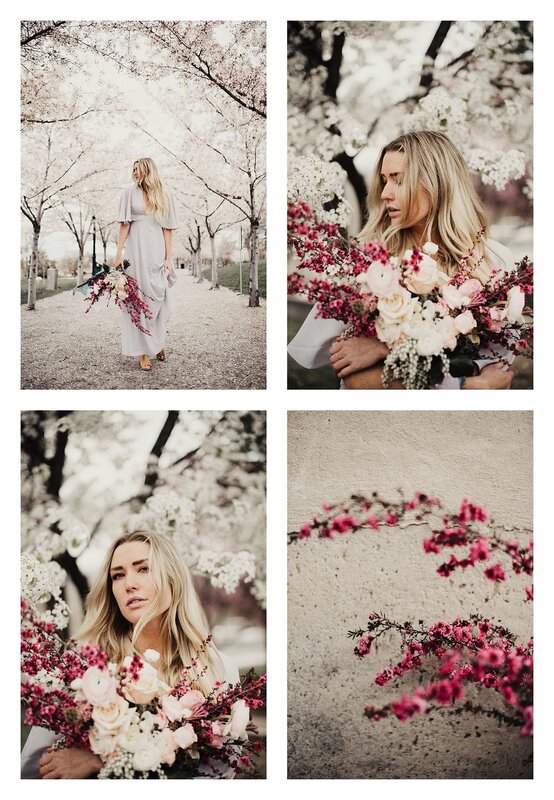 And every girl needs a chance to dance in a beautiful dress in the blossoms.